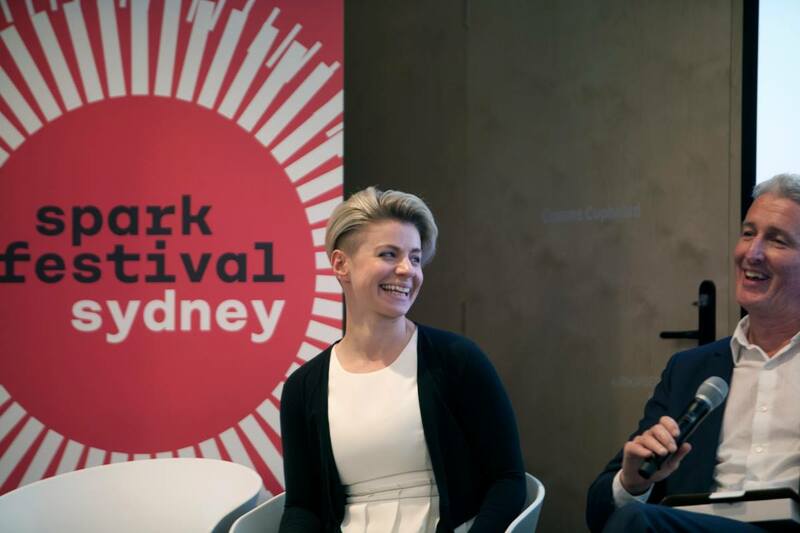 Spark Festival, Australia’s largest event for startups, innovators and entrepreneurs, will run across NSW from 19 October to 4 November 2018. This year, Spark includes many events profiling startups driven from science, technology, engineering and maths (STEM) knowledge that provide great opportunities for those interested in how research is commercialised. Whether you’re getting started or ready to go global, whether you’re an entrepreneur, investor, inventor, innovator, student, executive or just have a knack to learn: you’ll find your spark at Spark! With more than 120 events on offer, many of them free, this grassroots Festival is an amazing opportunity to connect and find your place in the exciting world of startups and entrepreneurship. Among STEM themes explored in this year’s program are climate change, Australia’s energy sector, robotics, data science and nuclear research. 22 October 2018, 6pm-8pm, University of Sydney. Free event. The energy industry will continue to change in the years to come, as both the State and Federal governments seek to ensure the nation’s energy supply. This event presented by the University of Sydney is an opportunity to discuss how innovation can promote clean energy development and reliable energy generation. The panel discussion includes persepectves from student entrepreneurship, industry experts and the wider audience to engage in discussion on one of most important and promising areas of technology. Women experts in clean energy technology, social entrepreneurship and women’s empowerment will discuss the importance of gender parity in the global response to climate change. At this event presented by Pollinate Energy & EnergyLab, you’ll learn what women from underprivileged backgrounds are doing in the clean energy sector to create a cleaner future for all. This will be an exciting event that champions women’s entrepreneurship, innovation and empowerment in the face of a four degree future. 29 Oct 2018, 2pm-5pm, Sydney Startup Hub, CBD. Free event. Meet five science and engineering experts from CSIRO’s Data61 who’ve created new technology-based spinouts at this forum copresented by Inspiring Australia NSW. Find out how they’ve transitioned from researchers to entrepreneurs to commercialise their ideas and tap in to global markets. Discover how Australia’s data innovation network works with researchers to create companies that foster innovation, growth, employment and revenue. Learn what training is available from the national science agency to support budding entrepreneurs. This free event includes networking and refreshments. 26 October 2018, 9.30am-12.30pm, ANSTO, Lucas Heights. Free event. Nandin is ANSTO’s startup hub and this spotlight event will shine the light on innovative startups leveraging deep technologies to provide solutions to real world problems. Startups at the forefront of innovation will be showcased so you can engage with tomorrow’s technology. They will pitch their innovations to you and you will have the opportunity to ask them questions about their tech journey. A tour of ANSTO’s Lucas Heights site and its world class facilities is on offer as part of this event. With an agenda to close the gender gap for women in STEAM – science, technology, engineering, maths, arts, and design – speakers at this event aim to inspire future generations of young women who are looking for female role models in STEAM fields. The women will talk about how they got started, how they managed to stay in the field and what are they working. Australia’s jobs matching platform Ribit.net will also be on hand to host a special speed networking event connecting business and industry representatives to women students of STEAM disciplines. Startups and businesses wishing to engage students looking for creative and media-tech roles and mentorship opportunities aee encouraged to attend this free event. 24 October 2018, 7pm-8pm, Stanton Library, North Sydney. Free event. Australia is home to a highly trained and skilled ‘ideas’ workforce which is 10% of the top 50 universities worldwide. Esteemed Professor Thomas Maschmeyer, Director of Australian Institute for Nanoscale Science and Technology at The University of Sydney, will explore Australia’s future potential as a powerhouse in science, technology and innovation. Join him to learn how universities can transform academic talent and leadership into an equal global lead in new, nimble high-tech companies with technologies that drive and power our future. This event will deliberate the journey of a hardware start-up and the ingredients of a successful product launch alongside the creation of a thriving business. Steps to embark on product design, strategies for finding your customers, how to get funding and more will be discussed. Dr. Steve Winnall, VP Product Development at Baraja, Martin Duursma, Partner at Main Sequence Ventures – CSIRO Innovation Fund and John Kelly, CEO & Founder – Atomo Diagnostics are amongst the esteemed speakers at this event at CSIRO’s Lindfield site. Refershments and networking will follow the end of formal proceedings. Transport for NSW is collaborating with industry and other experts to co-develop new technology solutions, and are committed to engaging with new delivery partners. So if want to learn more about Transport for NSW’s mission for a technology-enabled future and how you can collaborate, this is the right event for you. Senior executives will provide insights into our Future Transport Digital Accelerator, and how you can drive innovation by accessing our Open Data portal. You will hear from SwiftFare, a startup that is working with Future Transport to unlock the value in our system and personalise transport for customers across the state. Children aged 8-14 are invited to join Tinkertank in Manly to learn how to design, build and program robots to perform challenges and then have a battle! Multiple kinds of robots will be used to explain the basics. A great opportunity for curious kids.